How hard is it to design a comfortable train seat? MAYBE the question should be how difficult is it, as an increasing number of passengers are finding the seats on the rising numbers of Class 700 and 800 trains entering service very hard. Having experienced seats on these trains – one on a 25-minute journey, the other for 90 minutes – I too am unimpressed. They are much firmer than previous seats and finding a comfortable position can be a chore. Neither it seems are RM readers, nor the wider public, over-enthusiastic about the seats. 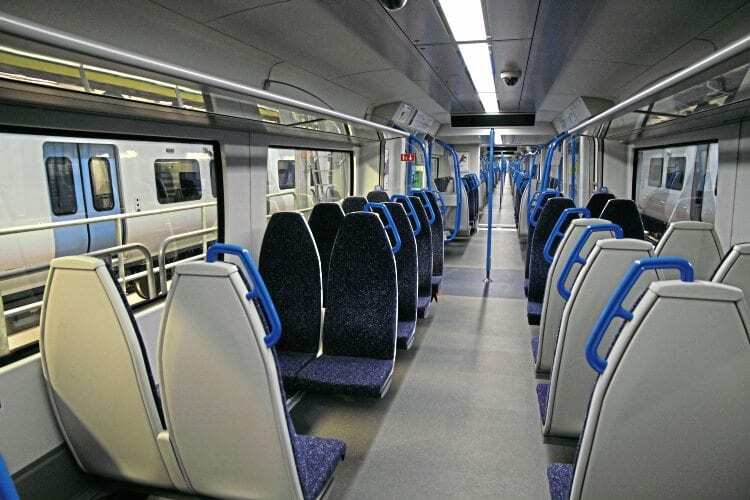 Commuters in particular have been critical of the Class 700 Thameslink trains (pictured right) with their harsh lighting, sterile interiors and the lack of a table of any kind on which to place a hot drink or a laptop (which has limited use with no on-train wi-fi). The issue of the poor thickness to the seat padding has been picked up by the national media, but responses from Department for Transport and operators claim the reduced padding is necessary to meet new fire regulations and anti-vandal measures. With the lack of tables and wi-fi, it also keeps the unit cost within a specific price band. However, seat covers with improved padding and meeting revised fire regulations would cost roughly £100 more per seat. When you break that figure down over a 30-year life span of a unit, £100 is a minuscule amount, and in hindsight a poor financial decision, which is generating more adverse publicity the railways could do without. The DfT claims there were focus groups to test the various seat designs, which also had to meet crashworthiness standards, but did they listen to the feedback? It would appear not. I simply do not believe a high percentage of opinions favoured such awful seats that are a backward step on what passengers had before. What happens when passengers on the East Coast route are faced with the possibility of ‘ironing-board’ seating for journeys of four hours or more that are such a retrograde step to the recently refurbished Mk3 and Mk4 interiors? It is pointless spending billions of pounds on shiny new trains, trumpeting about how the railway is investing and improving, only to skimp on what is one of the key points that passengers will judge the trains on. The seats. So if you have the misfortune to ride one of these trains, please don’t blame the train operator for the uncomfortable seats – Thameslink and GWR didn’t have a say in the decision. Blame the Department for Transport for its Scrooge-like procurement and specification methods. FEBRUARY is the month when the preservation sector holds its ‘Oscars’ – otherwise known as the Heritage Railway Association awards. Magazine editors always have an input into the nominations, however when the nominees are announced to a wider audience at the annual HRA dinner, it makes you realise the depth, breadth and variety of these projects. Preservationists are unsung heroes. These restoration or extension projects are undertaken by groups large and small, but also act as a reminder of how far the movement has come since the embryonic days of the 1960s. Let’s also never forget preservationists are the kind of people who do not take ‘no’ for an answer. Here at The Railway Magazine we want to learn more about you – our readers – so we can ensure the magazine and any products associated with it are as relevant as they can be. To this end we’ve created an online survey – www.railwaymagazine.co.uk/survey – for you to complete. FREE PRIZE DRAW with a chance of winning a footplate experience on a leading heritage line. It will only take you a few minutes to complete and I’d be grateful if you could take a little time to visit our website and give us your thoughts. Many thanks, and good luck in the prize draw!